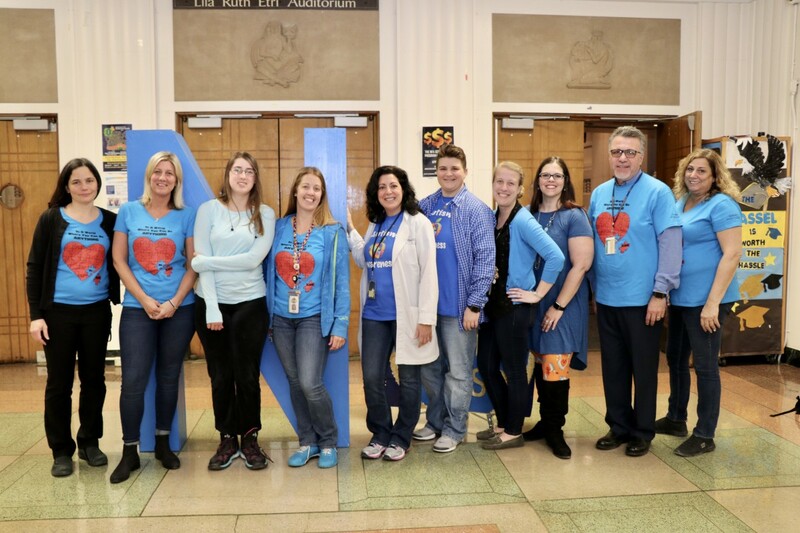 On April 4th we are wearing blue and raising understanding and awareness for Autism and having a campaign "Spread the Word to End the Word." 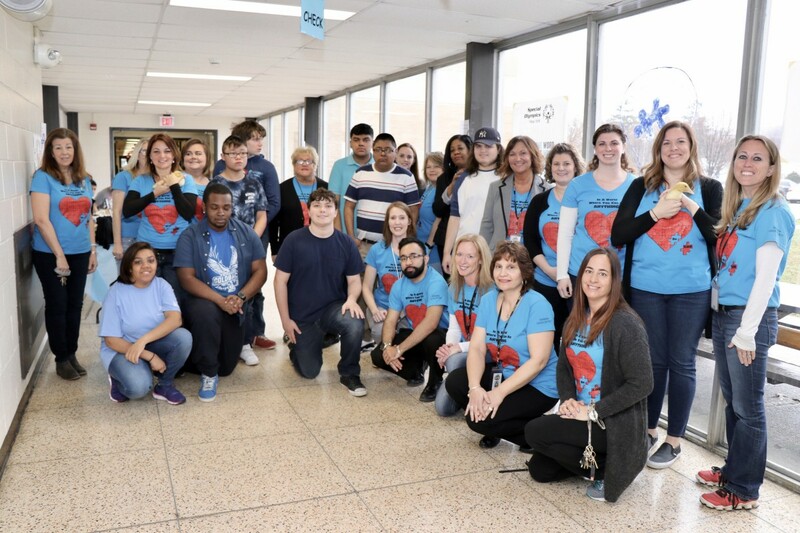 Faculty, staff, and students wore shirts with the phrase: "In a world where you can be anything, be kind." 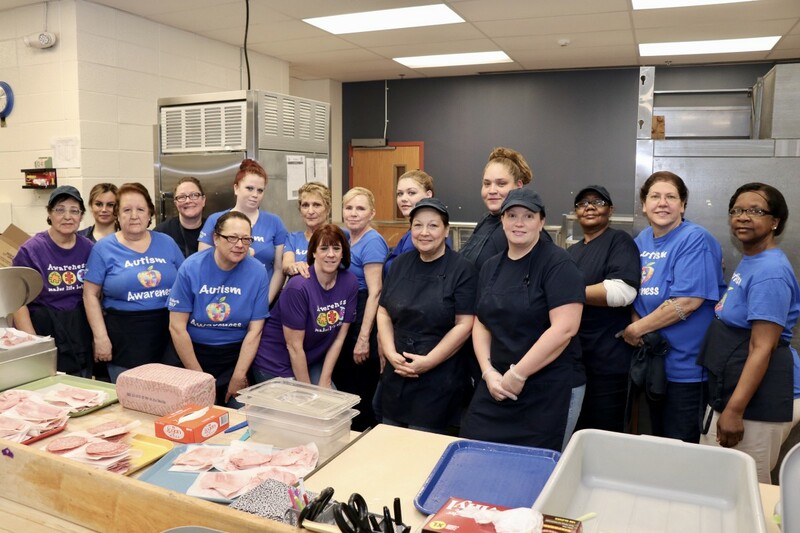 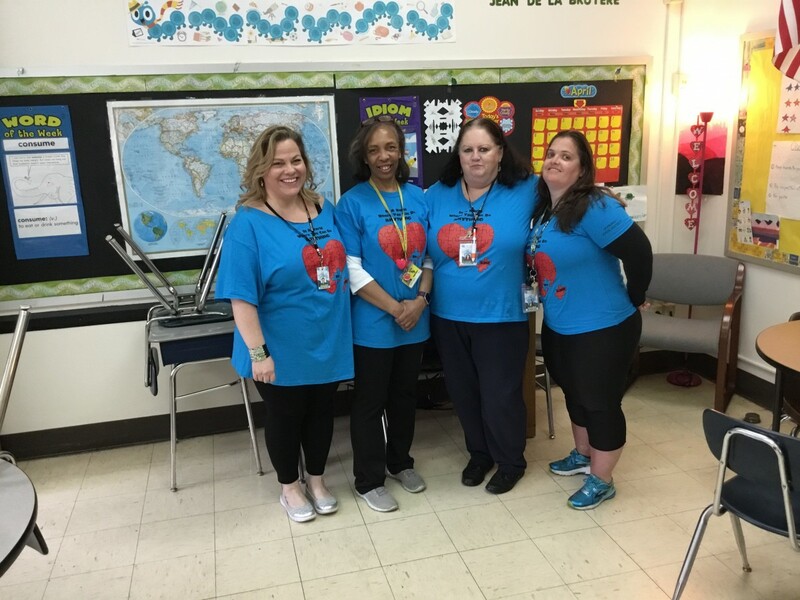 Pictured are faculty, staff, and students from Newburgh Free Academy, Main Campus, Newburgh Free Academy, North Campus, Newburgh Free Academy, North Campus Cafeteria Staff, and South Middle School.